The “common problem” is alcoholism. The men and women who consider themselves members of A.A. are, and always will be, alcoholics, even though they may have other addictions. They have finally recognized that they are no longer able to handle alcohol in any form; they now stay away from it completely. The important thing is that they do not try to deal with the problem single-handedly. They bring the problem out into the open with other alcoholics. This sharing of “experience, strength and hope” seems to be the key element that makes it possible for them to live without alcohol and, in most cases, without even wanting to drink. 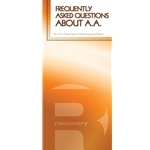 The second way to describe Alcoholics Anonymous is to outline the structure of the Society. Numerically, A.A. consists of more than 2,000,000 men and women, in approximately 180 countries. These people meet in local groups that range in size from a handful of ex-drinkers in some localities to many hundreds in larger communities. In the populous metropolitan areas, there may be scores of neighborhood groups, each holding its own regular meetings. Many A.A. meetings are open to the public; some groups also hold “closed meetings,” where members are encouraged to discuss problems that might not be fully appreciated by non-alcoholics. The local group is the core of the A.A. Fellowship. Its open meetings welcome alcoholics and their families in an atmosphere of friendliness and helpfulness. There are now more than 117,000 groups throughout the world, including hundreds in hospitals, prisons, and other institutions. Alcoholics Anonymous had its beginnings in Akron, Ohio, in 1935 when a New Yorker on business there and successfully sober for the first time in years sought out another alcoholic. During his few months of sobriety, the New Yorker had noticed that his desire to drink lessened when he tried to help other drunks to get sober. In Akron, he was directed to a local doctor with a drinking problem. Working together, the businessman and the doctor found that their ability to stay sober seemed closely related to the amount of help and encouragement they were able to give other alcoholics. A.A. has no officers or executives who wield power or authority over the Fellowship. There is no “government” in A.A. It is obvious, however, that even in an informal organization, certain jobs have to be done. In the local group, for example, someone has to arrange for a suitable meeting place; meetings have to be scheduled and programmed; provision has to be made for serving the coffee and snacks that contribute so much to the informal comradeship of A.A. gatherings; many groups also consider it wise to assign to someone the responsibility of keeping in touch with the national and international development of A.A.
To provide for the sound growth of A.A., early members of the Society, together with nonalcoholic friends, established a custodial board — now known as the General Service Board of Alcoholics Anonymous. The board serves as the custodian of A.A. Traditions and overall service, and it assumes responsibility for the service standards of A.A.’s General Service Office at New York. The link between the board and the A.A. groups of the U.S. and Canada is the A.A. General Service Conference. The Conference, comprising about 93 delegates from A.A. areas, the trustees on the board, General Service Office staff members, and others, meets for several days each year. The Conference is exclusively a consultative service agency. It has no authority to regulate or govern the Fellowship. Thus the answer to “Who runs A.A.?” is that the Society is a uniquely democratic movement, with no central government and only a minimum of formal organization. No. A.A. has no relation to temperance movements. A.A. “neither endorses nor opposes any causes.” This phrase, from the widely accepted outline of the purpose of the Society, naturally applies to the question of so-called temperance movements. The alcoholic who has become sober and is attempting to follow the A.A. recovery program has an attitude toward alcohol that might be likened to the attitude of a hayfever sufferer toward goldenrod. In the first days of the movement, it was commonly thought that the only logical candidates for A.A. were those men and women who had lost their jobs, had hit skid row, had completely disrupted their family lives, or had otherwise isolated themselves from normal social relationships over a period of years. Their need for recovery is just as compelling as that of the older men and women who had no opportunity to turn to A.A. in their youth. Once they are in A.A., the young people and the oldsters are rarely conscious of their age differentials. In A.A., both groups start a new life from the same milestone — their last drink. -Reprinted from “Frequently Asked Questions About A.A.”, with permission of A.A. World Services, Inc.
*Frequently Asked Questions About A.A.